Gerald (Jerry) Pannozzo, CVA, has been in volunteer resource management since 1993. He first administered volunteer programs at a HIV/AIDS community based organization and then a HIV/AIDS residential healthcare facility – a licensed nursing home. After eight years of working with HIV/AIDS, he accepted a job as assistant director at the Mayor’s Voluntary Action Center (MVAC), NYC. As of 2004, Pannozzo combined working in healthcare with consulting, presentations, and teaching. Starting in 2004 he focused on coordinating United Hospital Fund (UHF) grants at six local hospitals either as a part-time employee or consultant. The UHF grants provide seed money for new and innovative volunteer programs that Pannozzo was responsible for administering, monitoring and evaluating. He developed training materials and coached the volunteers who served as emergency department volunteers, crisis response volunteers, health literacy volunteers (at three different hospitals), volunteer patient advocates, and diabetes health coach volunteers. Pannozzo has presented workshops for local agencies and professional associations, and has presented at local, state and national conferences. 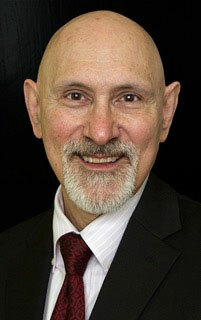 He co-taught the course Community Engagement and the Management of Volunteers for School of Public Affairs, Baruch College, NYC, and taught various classes for Volunteer Management Group (VMG), at Hostos Community College, NYC, and VMG online classes. Since 2012, he has co-taught NYAVA’s (New York Association for Volunteer Administrators), Principles and Practices in Volunteer Management two-day course. During his career, Pannozzo has been actively involved with professional associations. He has served on committees and boards for AVA – Region 2 (Association for Volunteer Administration), (NYAVA) New York Association for Volunteer Administration, (QDOVIA) Queens Directors of Volunteers in Agencies, (GNYADVS) Greater New York Association of Directors of Volunteer Services - in healthcare, (AVA) Association for Volunteer Administration, and (AL!VE) Association of Leaders in Volunteer Engagement.